Are You Ready For Your First 100 Million? Warren Buffett hit $100 million and just kept going. Should You Focus on the Rules or on How to Win? 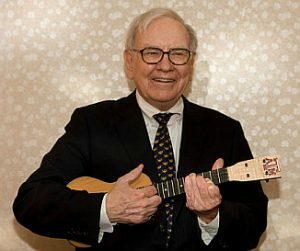 Whenever Warren Buffett approached a new field of endeavor he’d ask someone who was already a master in it to teach him how to win at it not just how to play. Buffett credits his success to this question. If you’re unclear how the distinction works, think of this example. Your high school civics teacher knows how the government works while a veteran politician knows how to win in politics. There’s a huge difference between just knowing the rules of a game and understanding what it really takes to win. The same applies to business. The Tycoon Playbook teaches you how to win at business. The next question is are you someone who should invest the time and energy required to try to master the tycoon game? Do you have what it takes to succeed at small business acquisitions? You can now find out. Get your copy of Are You Ready For Your First 100 Million? today. This report will give you a realistic look at what is involved in getting into deal-making and acquisitions as well as the big hurdles that lead some to fail. By knowing all this ahead of time you can determine if this growth strategy is something you are cut out for. More often than not, those think they are cut out for it, aren’t, and those who think they aren’t, are. Take this mini-version of The Tycoon Playbook course now so that you have a solid grasp of its suitability for you. To Grow Fast Should You Build or Buy? Who Should Enroll in The Tycoon Playbook? 4 Responses to Are You Ready For Your First 100 Million? This was better than I expected for the cheap price. Question. The plan is to build up my current business and then do an acquisition in mid 2018. Can I use one man CPA and law firms or should they be bigger? They should have some experience with the sale or purchase of a business. You don’t want someone who will be learning on the job while you’re paying them.